Blast from the Past – Who Has Your Key? Originally Posted June 14 Who Has Your Key? My husband and I are coming up on our 10th anniversary of being married and our 15th of being a couple, so for at least a month now I’ve been ready to write this post. Why has it taken me so long to actually write it? Well, I’ll explain that at the end, so stick with me. It was one month after our first date, that I knew without any doubt in the world that Eric Gatlin was the one I would marry. I hadn’t even told him I love you yet, but I knew I was going to marry him at 17 years old. So on our second anniversary, when I was 19 years old, I gave my boyfriend the key to my heart. To make myself even more vulnerable, I told him that I gave it to him. . .
Guard Your Heart Young love is rare. I mean real, true love – the kind that God ordained. I am incredibly passionate about young ladies having confidence in themselves so that they don’t have a need for the approval of others to build their confidence. So many more times than not I see girls who have a poor image of themselves so they find themselves desperately seeking approval from boys to help build their confidence. With each new boyfriend, they fall in love quickly and feel like this one is THE ONE. Sometimes it causes them to lose who they are, and sometimes they find themselves doing things they are incredibly ashamed of and would never do otherwise. It’s a difficult place to be. I know because I remember being there. I know that’s why God has lit a fire in my heart to help build confidence in the lives of girls. Psalm 4:23 says Guard your heart above all else, for it determines the course of your life. God tells us that we are to keep our hearts guarded — locked tightly where he is the only one who holds the key. Re-read that. 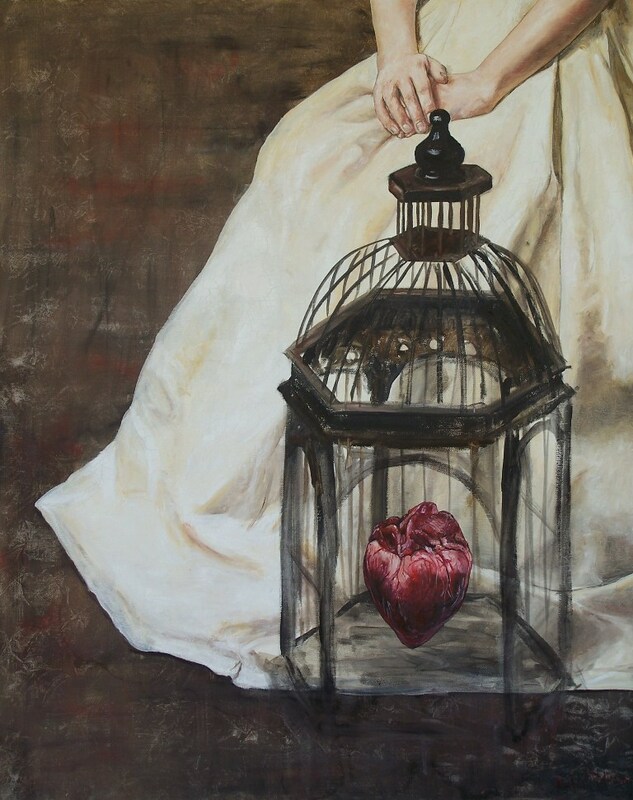 What would happen if you locked your heart up and gave Jesus the key to hold only to give it to you when you found the man you were meant to marry? How much easier life would be! There would be no heartache, no regrets of decisions you might have made to impress a boy, and you wouldn’t have to question Is he the right one for me? He doesn’t do that, though. He wants us to show self-control and keep our own hearts guarded. Dating has become something that’s not “important”. If you walk into your school and ask everyone in class if they are dating someone, you’re sure to hear that almost all of the students are dating. It’s just not a big deal to anyone. Now, before I go farther, I want to preface by saying please DON’T hear what I’m NOT saying. I’m NOT saying that you should never date. I am saying that you should date with caution. With each boy you date, you are giving away a piece of your heart whether you realize it or not. The longer you date, the less guarded your heart becomes. Okay, first keep in mind that not only was I once a girl dating, but I work almost every day with girls just like you, so I know that your eyes might have just rolled a little with those last sentences. I really have heard it all, and I know that you don’t feel like it hurts anything, but it really does. The purpose of dating really is to search for your future husband. Wait! Don’t close out of the post just yet. I’m not telling you what to do or not to do, but I would like for you to really put some thought into what I’m saying. If you don’t believe me that dating is to ultimately find your husband, then please send me comments to tell me other reasons, but really think about it first and be truthful to yourself. Did you know that it’s okay NOT to have a boyfriend? It really is. Having a boyfriend should not determine whether you are happy or not. It shouldn’t determine if you are “popular” or not. Think about your reasons for dating, and see if it’s worth it. I dated when I was younger. I didn’t guard my heart. I got hurt. I want so desperately to save you from that hurt. I know I can’t save all of you from it, but if just one of you heeds this advice, it was well worth it. GUARD YOUR HEART! Keep it safe and far away from the enemy who is prowling around like a lion seeking who he can devour because the hearts of those who love God are his favorite meal. Go ahead and give that key to Jesus and don’t allow anyone else to have it but your husband one day. Think about how special that could be. Here’s an idea! You could find a key this week and write a letter to Jesus about your heart and the key you are giving him. Then write a letter to your future husband about how special this key is and why you are giving it to him. Put it away. When you find that man that God has already chosen for you, give it to him on your wedding day, and read what you’ve written. What an amazingly special gift that would be for him! Whether you’re 11 or 41, if you are single it’s the perfect time to do this! The reason it has taken me so long to actually write this post is because I wanted to feature the picture you see here, and I tell you, I have looked through boxes and boxes of keepsakes we have. I knew it was somewhere in our house, but neither my husband nor I had any idea where it was. Of course, it was the very last, untouched box. This was a box I wasn’t even going to open because I was certain it wasn’t there. I was obviously wrong. Why is this thing so special? When my husband and I were dating, I gave this to him for our second anniversary. I was a college student with no money, but he was so incredibly special to me that I wanted to give him something that would mean a lot to him. I looked high and low for a key that had just the right look to it, and this was what I found. It just so happened that my mom had this heart-shaped box lying around the house and gave it to me. This was my gift to him along with a poem I had written, which I’m sure is in one of those boxes, but I will not search for it at this time. You could say I took a big chance by allowing myself to be vulnerable and give this to him. I can see how people on the outside might feel that way, but I really did know without a doubt that God set him aside for me. I knew the key belonged to him. UPDATE/DISCLAIMER: Although I did not intend for the “key to your heart” to mean your virginity, I noticed that it could very easily be interpreted as that, and I do like the analogy. However, your virginity is not the only thing that opens up your heart. 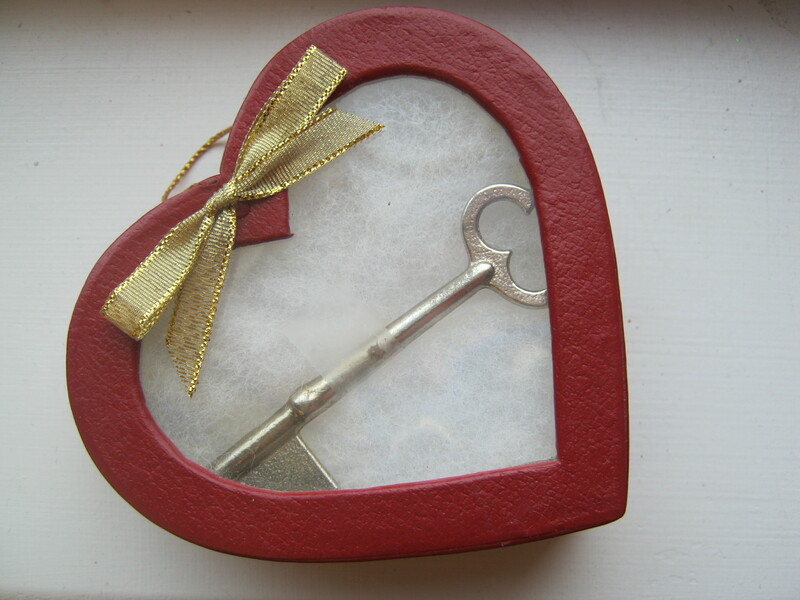 In my story, I literally gave a key in a heart-shaped box to my husband, so I want to make sure that I’m clear in my meaning. I also want you to please understand that there are so very many more things that unlock your heart.